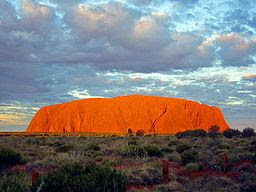 Today is Australia Day, the official national day of our nation. It is celebrated on the 26 January each year. It commemorates the arrival of the First Fleet in 1788, which marked the start of British colonisation. Until recently it has been a day that some Australians have found hard to celebrate because for almost two centuries the nation largely ignored the fact that Australia’s first settlers were our Indigenous Australians who archaeologists suggest have been here for 40,000 years. Not surprisingly, Indigenous Australians have found it even harder to celebrate this day because for them the day is also a reminder of their loss when the British established occupation and control of this great land. The bicentennial celebrations in 1988 were a significant time of discussion and opened up even more intense debate between Indigenous and non-Indigenous Australians. Since then much has happened culminating in Prime Minister Kevin Rudd’s apology in parliament on the 13th February 2008 on behalf of the nation. Most see this as an important first step in full reconciliation. The announcement of Professor Michael (Mick) Dodson’s AM as Australian of the Year in 2009 is also highly symbolic, important and deserved, for he is seen by many as the father of the reconciliation movement. All of this is good, but as I argued in a previous post (here), there is no point in saying sorry if there is no action and outcomes to address the significant injustices that Indigenous Australian’s experience every day. I look forward to how our collection action can make a difference in the coming years. So while I’m a keen supporter of the idea of a national day we need to continue to recognise the traditional owners of the land on which our nation has been built. I don’t see this as needing political action, and I don't want it be tokenistic, but I do believe that there are many stories to be told, ongoing attention to reconciliation and action to address inequities. I also see this as very important, and not simply symbolic. Saying sorry must always be accompanied by action. Australia’s federal government has shown resolve in recent times to address the significant educational needs of Indigenous children, particularly in remote communities, but we will await a later assessment of the outcomes. Parents and teachers can also play their part in creating awareness of the issues. One way this can be done is by sharing some of the stories that address Indigenous issues. 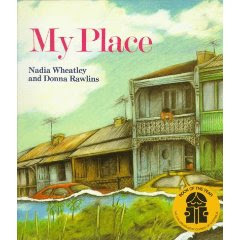 One of my favourite children’s books that seeks to do this is the acclaimed picture book ‘My Place’ by Nadia Wheatley (writer) and Donna Rawlins (illustrator) which was published in 1987 and was read widely in Australia’s bicentennial year. This book makes a strong statement about the fact that Indigenous Australians were here for thousands of years before white settlement. It is a very clever book that takes one suburban block and tells the story of this place in reverse chronological sequence decade by decade from 1988 back to 1788 when the first British Fleet landed at Botany Bay. It also acknowledges the special importance of the land and a sense of place for Indigenous people (see my post on the literary theme ‘sense of place’ here). The overall meaning of the book is shaped by multiple narrative recounts of the families who have lived in this spot, 'my place' and the changing nature of the physical landscape and built environment. Collectively, as a nation, we have much to do to build an Australia that demonstrates justice and equitable delivery of basic services such as health, education and employment for all Australians. Today is a great day to remember this and recommit to joint action. 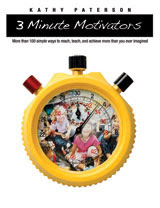 Here's a quick review of a very practical book, "3 Minute Motivators" by Kathy Paterson. It offers a lot of practical help for teachers in trying to maintain children's engagement, and regaining their commitment to learning and attention in the midst of a typical day in the classroom. Motivation and engagement are keys to learning so any help that teachers can gain in this area is invaluable. This latest book has more than 100 simple ideas that help the teacher to refocus a group, motivate and regain student attention when it is waning. Her basic premise (which any practising teacher will acknowledge) is that children's attention spans are limited and hence at times teachers need to shift their attention and give them a break from the activity at hand so that they can get back on task with new energy. Her '3-Minute Motivators' employ a variety of strategies including relaxation, physical movement, word and sound play, chants, conversation, brainstorming, pencil and paper activities and so on. All are designed to be completed in a maximum of three minutes. While they act as transition activities or attention 'breaks' in learning, they also offer potential for new learning in these brief lesson segments. Like all books of this 'What can I do on Monday?' type it assumes theoretical justification rather than outlining it, but Paterson's ideas sit comfortably with what we know about children's learning and the importance of motivation and engagement. You can find the book and look at the first chapter (free) here. The author Kathy Paterson is a teacher and drama specialist with more than 25 years of classroom experience. She is a popular speaker and writer who is also involved in teacher training with several universities on issues around differentiation and effective teaching practices. For a full list of her publications click here. This post is based partly on an earlier post (here) but I've updated it and added a second section on reading with your child. When parents ask what they can do to help their children at home, my most common first response is "Read to and with them". I've added the second part to this post because while it seems almost self evident that reading to your children is helpful, the second part is probably not done as well. 1. Why reading to your children is important? First, time on task is important for success in anything. One of the most basic insights from literacy research in the 1960s and 1970s was the repeated observation by researchers like the late Dame Marie Clay in New Zealand and Richard Allington in the USA that struggling readers read less than successful readers. In fact they found that they read less books and only about one third of the words. This doesn't seem too startling, but think about it. If a child is struggling with reading, how do they catch up to other children by doing less reading? The answer is that they don't! The gap gets wider. Second, being read to and with an adult offers many opportunities for learning. Mem Fox talks about children needing to be read at least 1,000 books before the age of five to be successful readers. While we could quibble over the precise number, the principle is clear. 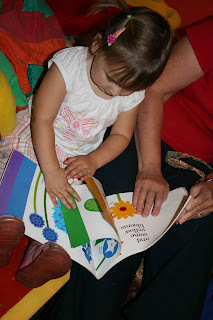 Being read to can teach much about language (vocabulary, how language works at the sentence and text levels, the sounds and rhythms of language and so on, concepts of print and how it works). It also teaches much about knowledge of the world and a positive experience with books is one of the key factors in children growing up as active readers. Reading should be enjoyable and the child needs to feel successful. I'll offer some basic principles and tips for reading with and to your child. Much of this advice can be found in my book written with Lynne Munsie, titled Beyond Tokenism: Parents as partners in literacy. Note that this book is meant for teachers who want to help parents to support their children and was an outcome of our research on family literacy. It is not written for parents. 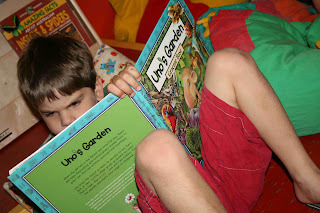 Choose books carefully - think about the things your children like, talk to other parents about books that kids like, consult lists like my list of 250 Great books. Make connections as you read with other books, experiences, TV etc (don't overdo this) - "This is a bit like the story....", "Remember when Daddy did.....", "This sounds like...". As I said at the outset, while many parents read to their children, the step in between children moving from non-readers to independent readers is often left out or done badly. To leave this out (or do it badly) is a bit like expecting a child to move from not being able to play football, to being a good player who is part of a successful team, without doing lots of coaching. This coaching will mean more than just teaching him/her how to kick a ball. So too with reading. Moving from simply reading to them to involving them in the reading process is a gradual and long-term process. Here's a general sequence showing how it might occur. From the beginning involve your children in reading. Move from holding the book to getting them to hold the book, turn the pages etc. Direct their attention to parts of the book. Point to the pictures, encourage them to predict the words in predictable books and say the words from memory, get them lifting flaps in 'lift the flap books', encourage them to point to the pictures at key points etc. As they move towards being readers allow them to contribute part of the reading - show them the large print word on the page that says BANG! and get them to point to it and 'read' it. When they are reading simple words encourage them to see and read these words as you read along. They will naturally spot words they know and point them - encourage this. When they are reading, read part of the book with them to ease the load and burden that reading can be for the beginning reader. As they seek out new books help them to read a slightly more difficult one by reading large bits of it for them. They might even contribute less than you. You're easing them into the book and demonstrating much about language. Have fun reading together - take turns, read different characters voices, perhaps read the bits that are the narrator with your child being some of the characters, make lots of noise, dramatise the events by moving your hands, making actions etc. As they grow in reading proficiency help them to choose new books - try for increased variation in genre, author, theme etc. Regularly talk about the language of the book, the content of the story - add depth to their reading experience by sharing a little bit of knowledge about events in the story, settings, the author etc. 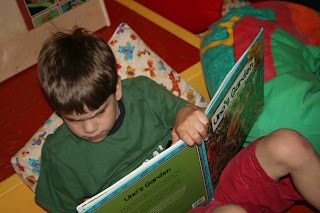 Even as your child moves towards independence this doesn't mean you shouldn't read with them. There are lots of good reasons to keep reading with children aged 10-12 years. For example, it strengthens your relationship with them, it helps to build common ground, you can help them to move to new authors, genres etc. You can help them to tackle more difficult books that perhaps they wouldn't have attempted (read chapter by chapter, or page by page to ease the load of reading more demanding texts). Get them into poetry, non-fiction, plays, graphic novels and so on. From the archives: Starting school, is there a best age? This is a slightly modified version of a post I wrote in January last year. In Australia many children will be starting school for the first time in 2-3 weeks. I can still remember the mix of emotions that my wife and I experienced when we sent our eldest child off to her first day in Kindergarten (the first day of formal schooling). Now she is 31 with three children of her own and last year she sent her son, and our first grandchild, off to school. 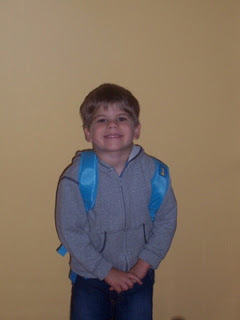 As grandparents we were just as nervous about Jacob going to school as we were with our first child (his mum!). But he's survived his first year at school and has done well, and so have his mother and father, who had to experience schools as parents, not as students. Sandra Crosser has also written a very readable piece for parents on this topic titled: He Has a Summer Birthday: The Kindergarten Entrance Age Dilemma. It would seem that there is little evidence for a universal perfect age for starting school, so there isn't much pointing asking anyone what it is. It would seem that we need to make individual assessments for each child within the range 4-7 years, with most countries opting for 5-6 as the normal age to start. Here are some things to consider if your child has reached an age at which he/she can officially commence formal schooling. What was the experience that you had as parents. Did you go to school early or late and what was the impact on you? Given the common gene pool this is a useful consideration. If all has been considered and the way forward is unclear I’d advise not sending your child at an early age. After all, there is little evidence to show adverse effects from starting late, but conversely there is some limited evidence to show that starting early might have some adverse effects for some children. An interesting postscript to this matter is that the country in the OECD that regularly has the highest school literacy levels is Finland, where the starting age is seven! While this isn't an argument for holding children back (there are many factors contributing to Finland's performance), it does suggest that holding your child shouldn't negative consequences for the long-term achievement. 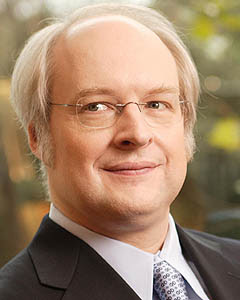 Jakob Nielsen is a Web researcher who has been investigating the user habits and screen experiences of readers when they are working online. He has used a variety of techniques including charting online navigation, and eye-tracking tools to map how attention shifts and where the eyes fixate. He has drawn a number of conclusions. I'll outline these, then offer my own comments. In a study of 232 people Nielsen found that people took in hundreds of pages in a scanning pattern that is different from traditional print-based reading. He suggests that the eye movements on a screen form a pattern that looks like a capital letter F. At the top of the screen the reader is reading all the way across, but the pattern changes as they proceed downwards. He observed that their descent quickened and horizontal scanning contracted, with a slowdown around the middle of the page. At the bottom he found that the eyes moved almost vertically with the lower-right corner of the page being largely ignored (i.e. they weren't looking at much). This might seem unremarkable but traditionally eye tracking research on pages of print suggests that readers actually scan every word and can fixate more than once on a word. The extent of the fixations is contested but most agree that the eyes track a great deal of the print on any page. While not the first person to suggest different patterns of fixations for online reading, Nielsen is suggesting that something different might be going on when reading on screen; well, that's Nielsen's claim. Only one in six subjects read Web pages linearly, sentence by sentence, finding key words, bullet points, images as well as fixating on colour and typeface variations. When reading e-newsletters, e-mail messages and news feeds, Nielsen found that readers usually read only the first two words in headlines, and largely ignored the introductory sections. 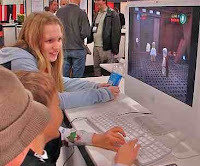 Nielsen suggests based on this research that teenagers "have a short attention span and want to be stimulated. That's also why they leave sites that are difficult to figure out." Generally, he found that teenagers didn’t want to do much (of what I'd call) 'close' reading online, Nielsen felt they were searching for other things. In commenting on such observations Nielsen suggests that the huge investment in technology for schools may have been wasted, with little evidence of any improvements in literacy and learning. He argues that there are "no statistically significant effects of immersion in the first year on either reading or mathematics achievement." In other words, he is claiming that the millions of dollars being spent in schools on technology might not help the ability to read text. In light of his research Nielsen suggests that online reading is a type of ‘reading’ but that it fails when the reader is confronted with a dense argument, and in fact that any difficult text requires steady focus and linear attention, that is slow reading. He goes further and argues that fast scanning doesn't foster flexible and adaptive minds capable of handling varied types of text. He supports his arguments by trying to link what he sees as poor college literacy levels at American universities with increased online reading. I don't have space to contest the latter, but I think he weakens his argument with such claims that are hard to test. Professor Mark Bauerlein (who also has an interest in this area) in reviewing Nielsen’s work suggests that we need to determine the relative effects of reading different genres. "I continue to believe in the linear, author-driven narrative for educational purposes. I just don't believe the Web is optimal for delivering this experience. Instead, let's praise old narrative forms like books and sitting around a flickering campfire — or its modern-day counterpart, the PowerPoint projector.....We should accept that the Web is too fast-paced for big-picture learning. No problem; we have other media, and each has its strengths. At the same time, the Web is perfect for narrow, just-in-time learning of information nuggets - so long as the learner already has the conceptual framework in place to make sense of the facts." While I'm unsure about some of Nielsen's findings, I do share some of his concerns. I have written elsewhere about the many assumptions that have been made about the revolutionary benefits of online web-based learning to transform the way we learn. I have also commented on the special impact that narrative text has on children's learning (see a previous paper here) and my concern that the Internet could be a threat to the key place of narrative in our lives. But, where I differ from Nielsen and Bauerlein is that while I agree that online reading practices are different from print-based reading, I see the basis of this, as well as the implications, somewhat differently. "....the extent to which the spoken or written word has been supplemented, replaced or changed by images, video and film, and even led to new representational forms....". "......all the various surveys of literacy undertaken in the U.S. (and also reflected elsewhere in the English-speaking world) point towards not just systematic sub-literacy (93 million Americans with basic or below basic literacy skills) but accelerating a-literacy, which is to say - the ability to read but the decision not to - and diminishing information skills. And the inescapable correlation is that this is a product of the rise of the Internet..."
However, I don't want to blame the Internet for leading readers away from 'close' reading. This is my point of departure from many who focus only on the dangers of the Web; it's what we do with the web that counts. What is critical is how parents and teachers support children as they encounter and use the Internet. The real challenge of the Internet is that its use both reflects the busy pace of life, while in turn influencing the pace with which we process information and the way we communicate (see my previous post on loss of family time here). There is a real danger that we will read less texts that are rich in language and content and will rely instead on emails, text messages, tweets and so on. The potential for this to happen is very evident; look simply at how our reading of the news has changed. Most people now read daily newspapers (with its increasingly tabloid focus) in the cracks of their days (often at work when probably they should be doing other things). Quality news based on in-depth research is now in danger of disappearing (certainly in the form that we once knew it). I can sense this even in my own writing and scholarship. If in the next three years I only write blog posts without the rigour of scholarship that is required to publish a paper in one of the world's great research journals, then I'm sure that I'll have much less to say. Even blogging can have a negative impact because as a medium for communication it has a limiting tendency. Blog posts need to be shorter (I often fail this test), punchier, more colloquial in language form, and inevitably need to use less primary source material. Even when evidence is presented from other sources, it is often limited to web-based resources. But to stay with blogging (as an example), this must be assessed against the obvious advantages. Via my blogs I can share the outcomes of my own scholarship and research as well as my critique of other research with ease. Balance, that's what we need! What are the implications of what I'm saying about Nielsen's research? 1. Don't allow literature to be lost as one of the most important literary genres; nothing can replace the potential that literature has to inform, teach, amuse, enrich our language and knowledge, and draw us together as we share common stories and so on. 2. Recognise that the Internet is an incredible resource for gaining and sharing information, but don't assume that it is a perfectly reliable source of knowledge. What one reads on the Internet must be assessed, critiqued and tested just like any other source of information. See my previous post on 'Truth and the Internet' here. 3. Apply as much attention to encouraging children to read widely and 'closely' from varied genres, and across varied literary traditions as we do with books and other resources for learning. 4. Teachers, avoid the temptation to make school simply reflective of the world; that's why public schools were started, to offer children what they couldn't easily get outside school. It may be that schools (in a short time) will become the only place that children will be introduced to the great literature of the past and even the present, and helped to learn how to critique what they read and make judgments between truth and fiction. Or perhaps, it will be at school where children will learn to be more critical readers of the Internet. 5. Parents model wide and close reading in your own life. Read and write yourselves! As well, share the joys and challenges of your own reading (in print and online forms) with your children. 6. Teachers and parents, should not simply accept that multimodality is the new norm, the only way to read. Yes, being able to simultaneously read words, view images and hear sounds has great potential for new forms of learning and expression, but as Nielsen's research shows, it changes the way we read (and write). If this is the only type of reading and the only type of reader purpose that we experience, then we will all be impoverished as a result. 7. Teachers and parents try to find ways to encourage your children to be discerning readers, writers and learners who know how to use the Internet to learn, while still maintaining a love of language and a rich knowledge of textual forms. In conclusion, let me stress that the research of Nielsen, Bauerlein and others is important, but let's avoid trying to blame the Internet for things which are not the fault of this great resource (notwithstanding its problems and weaknesses). Instead, let's ensure that the Internet develops as an even more effective tool and ensure that our children learn to use it for their benefit. The above comments have been motivated by an article written by Professor Mark Bauerlein in the Chronicle of Higher Education. You can read the article 'Online Literacy Is a Lesser Kind' here. 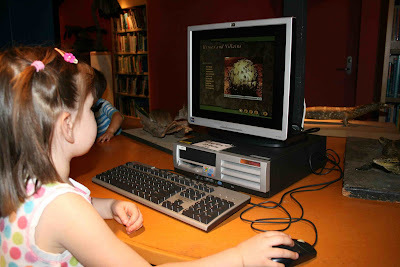 My earlier post on Writing Communication and technology (click here). Youths today read quickly but that doesn't mean they're reading well, Michael Duffy, Sydney Morning Herald, 20th December, 2008 (here). This article also draws on the work of Mark Bauerlein and relates it to his daughter's recent high school education. For an alternative more positive view of technology (my bit for balanced debate) you might read Russ Juskalian's interview with Clay Shirky in the Columbia Journalism Review (here).